Dress up your front door or surprise someone special with this stylish wreath. 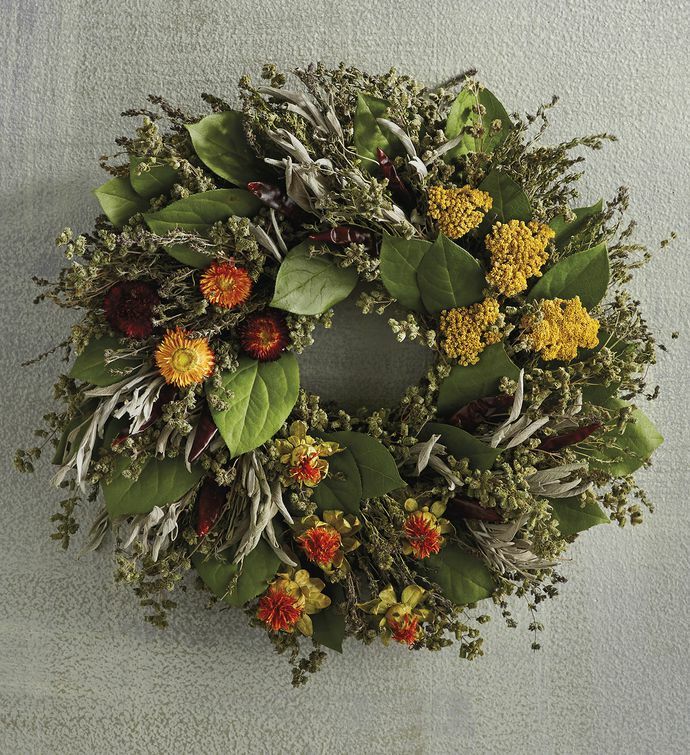 A beautiful mixture of savory, marjoram, sage, and fresh salal make up this elegant wreath, with yarrow, safflower, and strawflower for vibrant orange, yellow, and red pops of color. Perfect for displaying all year long.